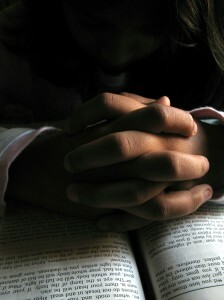 CUYAHOGA FALLS, Ohio — An Ohio city councilman has refused to stop presenting prayers in the name of Jesus despite having come under fire from a prominent atheist activist organization, as well as a number of area residents who find the prayer offensive. City Council members in Cuyahoga Falls recently received copies of a letter sent to the city from the Madison, Wisconsin-based Freedom From Religion Foundation (FFRF). The letter asserted that invocations during council meetings that end with “in Jesus’ name we pray” violate the U.S. Constitution. According to reports, city council meetings used to open with inspirational poems, quotes and/or a moment of silence, but since Councilman Terry Mader was appointed as chaplain this past January, prayers have been presented in Jesus’ name. It is not known how FFRF became involved in the matter, but the organization customarily sends letters to city officials following the receipt of a local complaint. As a result of the controversy, approximately 200 area residents attended the council meeting on Monday to hear discussion on the matter, including several local pastors and faith-based leaders who stood to voice their support of the prayers. Local resident Sheryl Aronson, who identifies as Jewish, told those gathered that the use of the name of Jesus makes her feel alienated. But despite those who said that the prayers were problematic, Councilman Mader said that he would not stop praying in the name of Jesus. “If I, as a Christian, am embarrassed to share his name, then He is going to be embarrassed in recognizing me in my relationship with him,” he declared. According to the Cuyahoga Falls News Press, Mader said that his relationship with Christ is more important than the offense that men might have at the mention of his name. He stated that some that he has approached for counsel have advised to invoking the name of Jesus, but he will not do so. The argument comes at a time when the U.S. Supreme Court is set to rule on whether it is permissible for municipalities to present prayers predominantly in Jesus’ name, especially if area residents are largely Christian or Catholic. As previously reported, the court accepted the case of Town of Greece v. Galloway last May, a legal challenge that centers on the invocations that are offered at town hall meetings in Greece, New York, just outside of Rochester. Local residents Susan Galloway and Linda Stephens are contending in the suit that the prayers made them feel “marginalized” as they are not followers of the Christian faith. Galloway is Jewish and Stephens is an atheist.